Managers generally opt to replace an existing roof with one of similar construction. But replacing a roof with one of the same type might not be the best option. Each type offers advantages and disadvantages, and the original roof might not have been the best choice for that application. By understanding the way different roof types perform in different circumstances, managers can select the most appropriate roof type. Built-up roofs offer the advantage of multiple-ply redundancy, making them puncture resistant. They also are easy to maintain, offer a long service life, and stand up to foot traffic. Their downsides include initial cost, installation weight, and sensitivity to oil and grease. 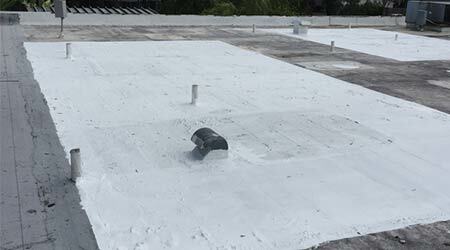 Modified bitumen roofs have two-ply redundancy, making them more puncture-resistant than single-ply roofs. They are lighter than multi-ply roofs, moderately expensive, and offer moderate resistance to foot traffic. Single-ply roofs cost less and weigh less than built-up or modified bitumen systems, but they are less resistant to puncture and foot traffic. With time and exposure, their membranes can shrink, resulting in failed seams. James Piper, P.E., is a national facilities consultant based in Bowie, Md. He has more than 30 years of experience with facilities maintenance and engineering management issues.